Arrive via train from Florence, at 16:33 PM. Check into the Sheraton, Rome. 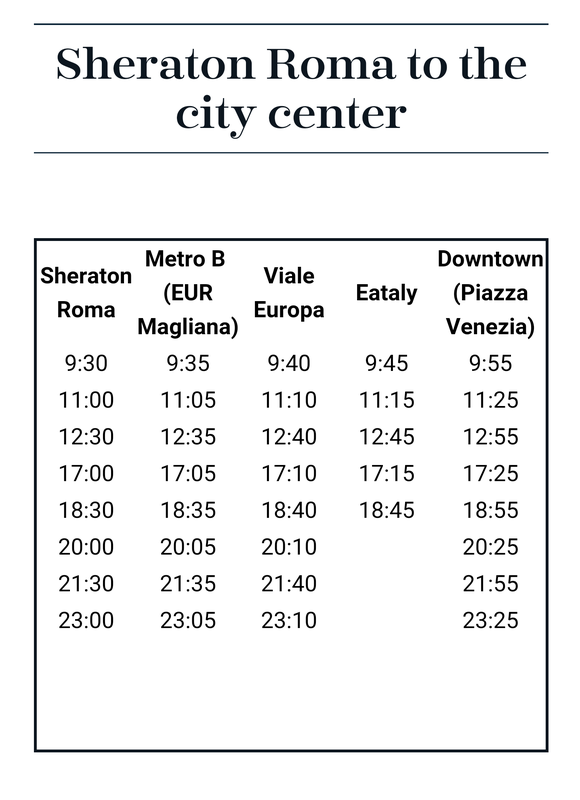 The Sheraton, Rome offers a roundtrip shuttle into the city with the following schedule. Relax by the pool then take the 20:00 shuttle into town for dinner. 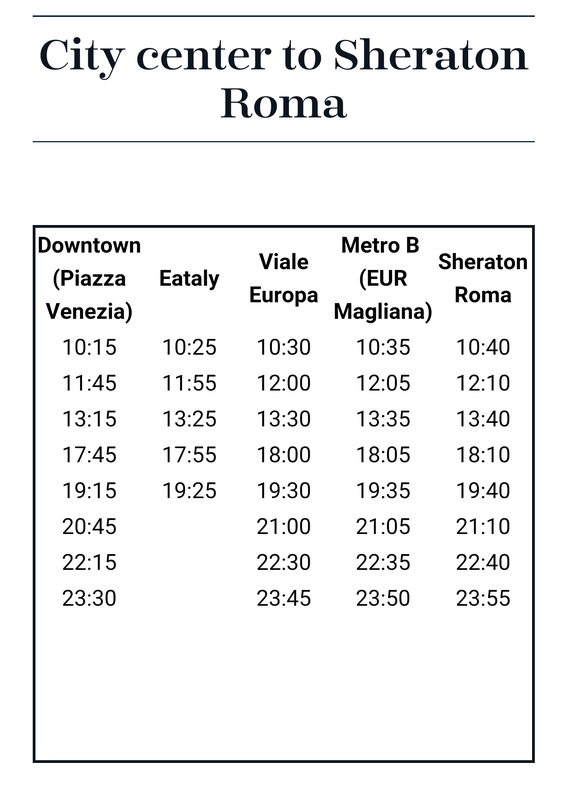 The Sheraton, Rome offers a roundtrip shuttle into the city with the following schedule. Spend mornings in the city, then an afternoon relaxing by the pool to escape the heat, then take the 20:00 shuttle into town for dinner and exploring.